The resorts Director of Golf Gary Silcock and John Deere’s worldwide Agriculture and Turf Division President James M Field officially confirmed the agreement at the John Deere Financial headquarters in Johnston, Iowa, in mid-August. This took place just before Gary Silcock’s visit to The 2017 Solheim Cup matches that were held at the nearby Des Moines Golf and Country Club, where John Deere equipment was used to prepare and maintain the tournament course. Known as the glorious playground, the 850-acre Perthshire estate was recently voted Best Golf Resort in the World for an unprecedented sixth successive year by readers of Ultratravel, the Telegraphs luxury travel magazine, and was also named Scotland’s Best Hotel/Resort in the Todays Golfer Travel Awards 2017, retaining this title for the fourth consecutive year. Following completion of recent renovation work on the Kings & Queens courses to bring them back more in line with James Braids original design vision, our courses continue to provide customers with a world class experience that is second to none said Gary Silcock. 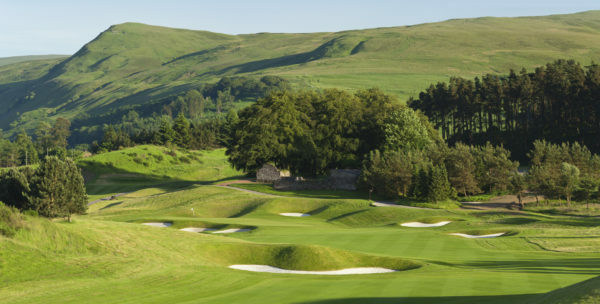 With three critically-acclaimed 18-hole championship courses to choose from, Gleneagles remains, quite simply, a golfers paradise. This new agreement with John Deere will see our two worldwide brands working together to further increase quality and productivity on the courses, through the adoption of innovative, market leading technology. We are going through an exciting period for the greenkeeping industry, as we see the introduction of satellite guidance and telematics fleet management systems dedicated to turfcare. As part of our ongoing investment programme, we look forward to working alongside John Deere and local dealer Double A Trading to help develop these systems and keep Gleneagles at the forefront of European and world golf. Tim Merrett, John Deere’s Vice President, Agriculture and Turf Division, said: “Gleneagles and John Deere both owe much of their success to a heritage of great performance and strong values, and both organisations are dedicated to the pursuit of excellence. Like Gleneagles, we have built a reputation on quality not only in our products and dealer support, but also for the way in which we treat our customers and do business”. John Deere equipment helps to maintain many of the worlds greatest golf courses. We are delighted and honoured to now see our mowers, tractors and utility vehicles at work on The Kings, The Queens and The PGA Centenary courses at Gleneagles. 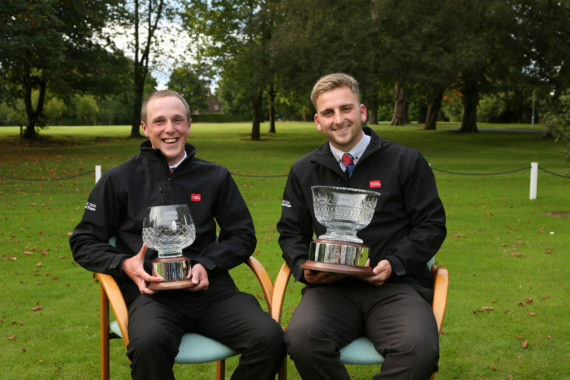 The awards enable BIGGA, turf maintenance equipment manufacturer Toro and distributor Reesink Turfcare to celebrate those talented student greenkeepers who are dedicating themselves to a career within the industry. The Toro Young Student Greenkeeper of the Year, won last year by Dan Waring of Ashbourne, will receive a two-week all expenses paid work experience placement at the exclusive Vidauban Golf Club in the South of France. They will also receive a trip to Continue to Learn at the BIGGA Turf Management Exhibition in Harrogate next January and enjoy a five-night package that includes hotel, four days of education, travel and Â£125 expenses, plus a Toro training voucher.